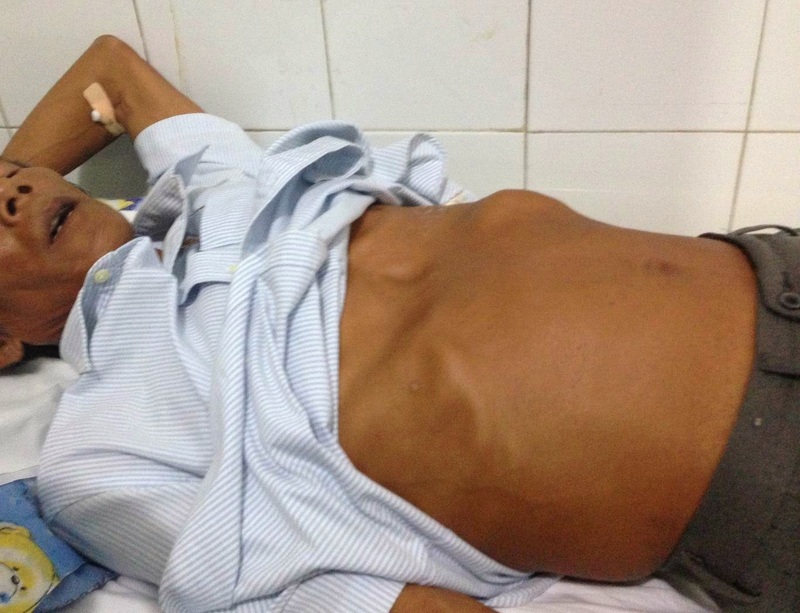 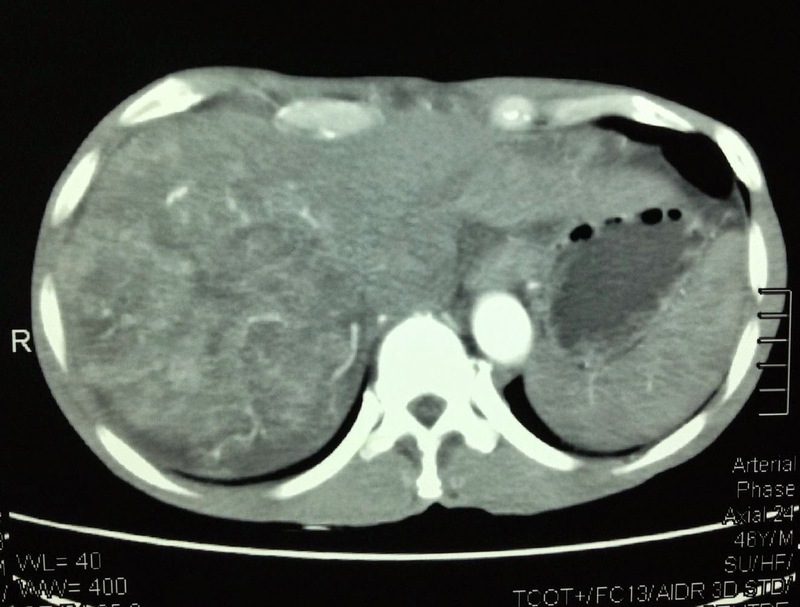 Man 46 yo, chronic hepatitis B, presented abdomen distension and dyspnea (photo). 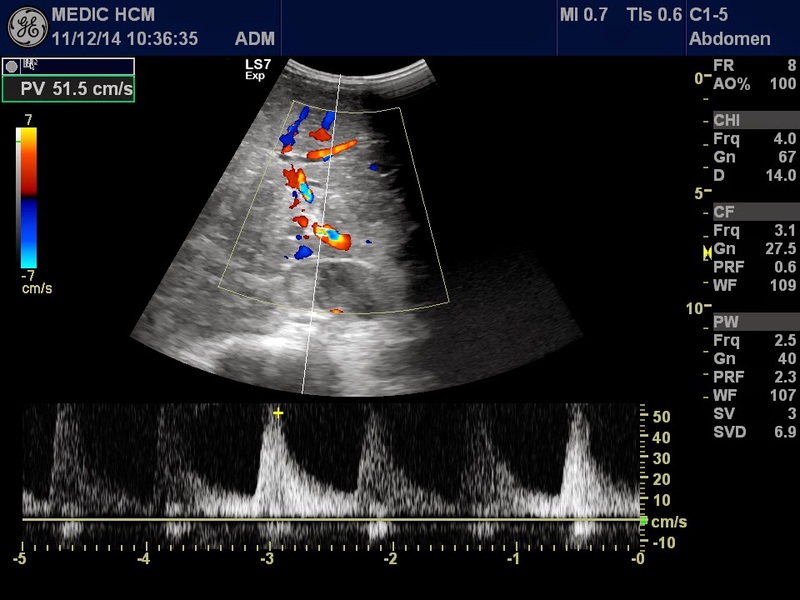 Cardiac ultrasound showed the mass intra right atrium from IVC (SEE ECHO CARDIO 3D). 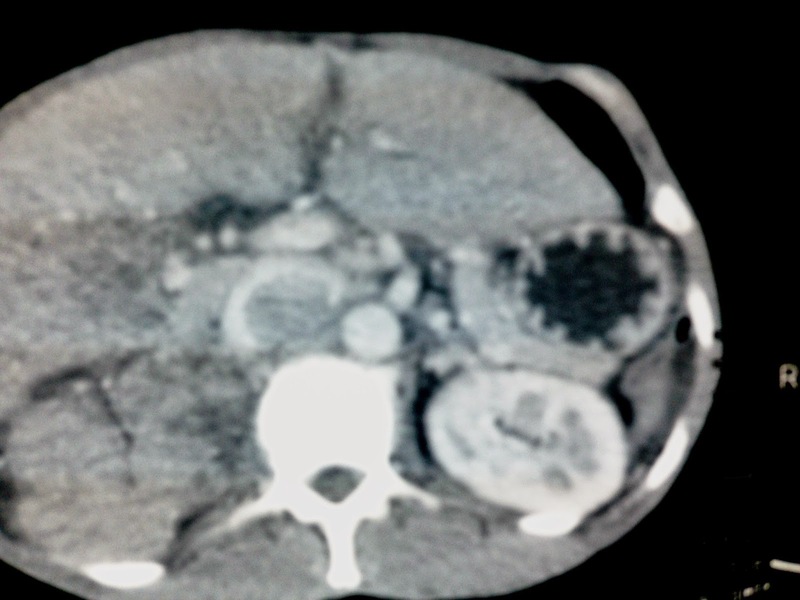 ABDOMEN US FOUND OUT LIVER TUMOR WITH BIG THROMBUS INTRA IVC EXTENSION TO RIGHT ATRIUM. 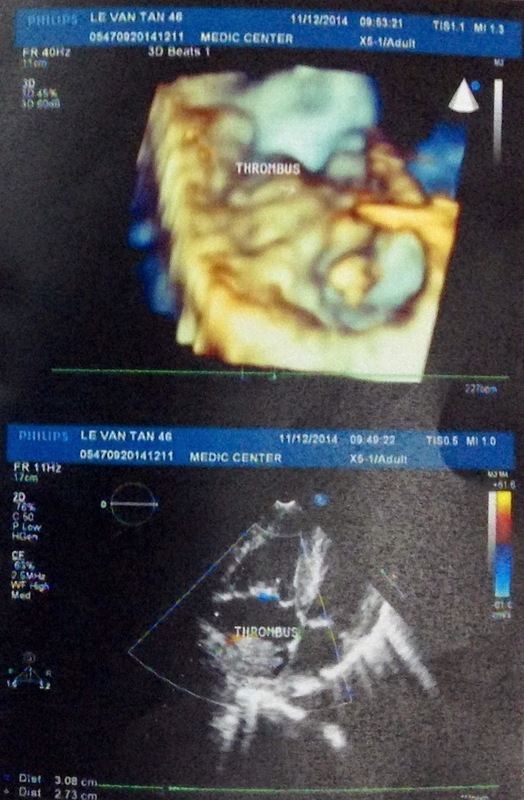 MSCT WITH CE ALSO DETECTED THROMBUS INTRA CARDIAC AND IVC. 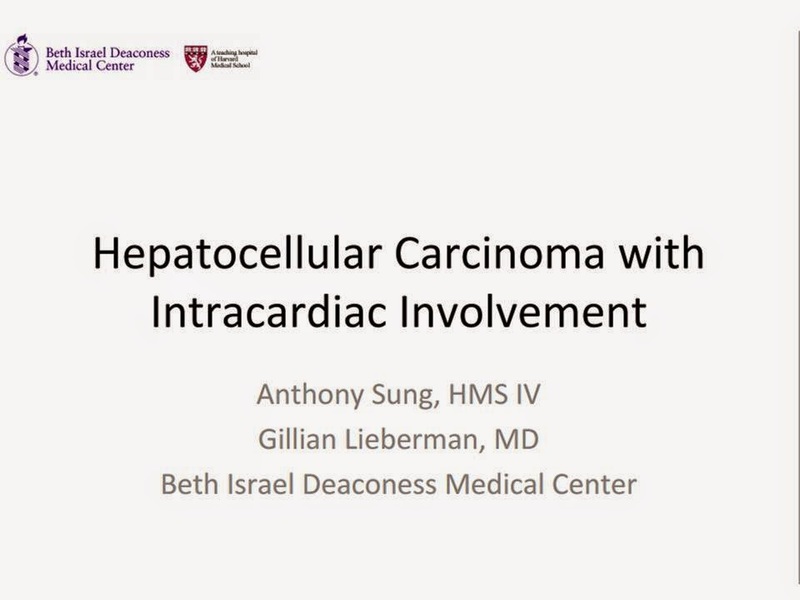 BLOOD TESTS: HBV POSITIVE AND AFP 1500 UI/ML. 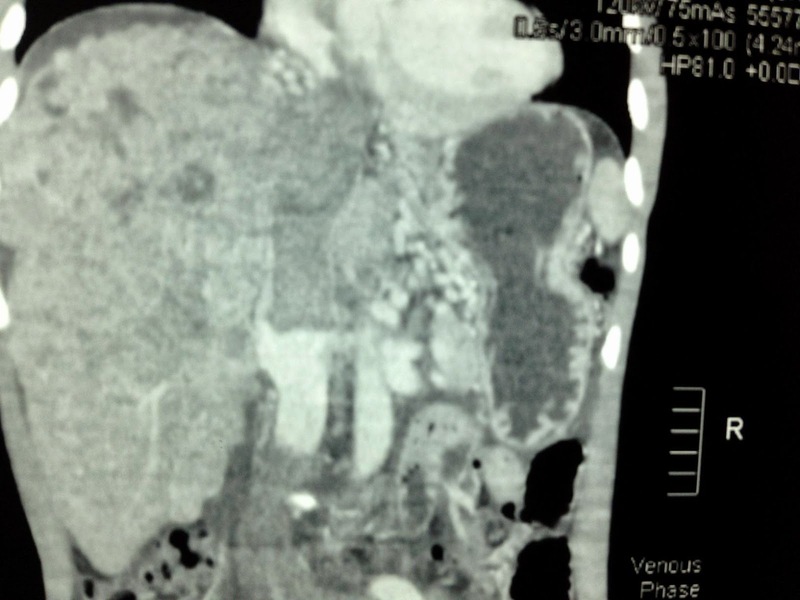 CONCLUSION...HCC FROM THE LIVER GOES TO IVC UP TO RIGHT ATRIUM.